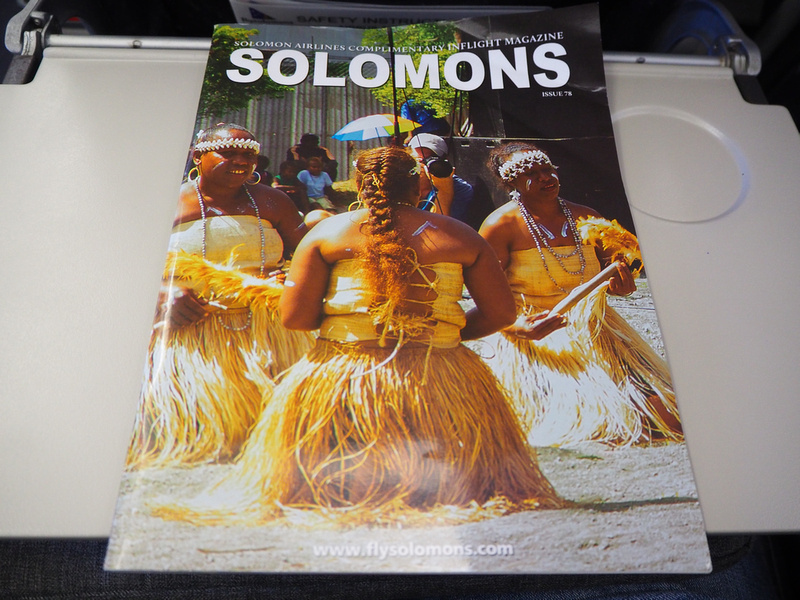 I flew with Solomon Airlines from Honiara to Brisbane. 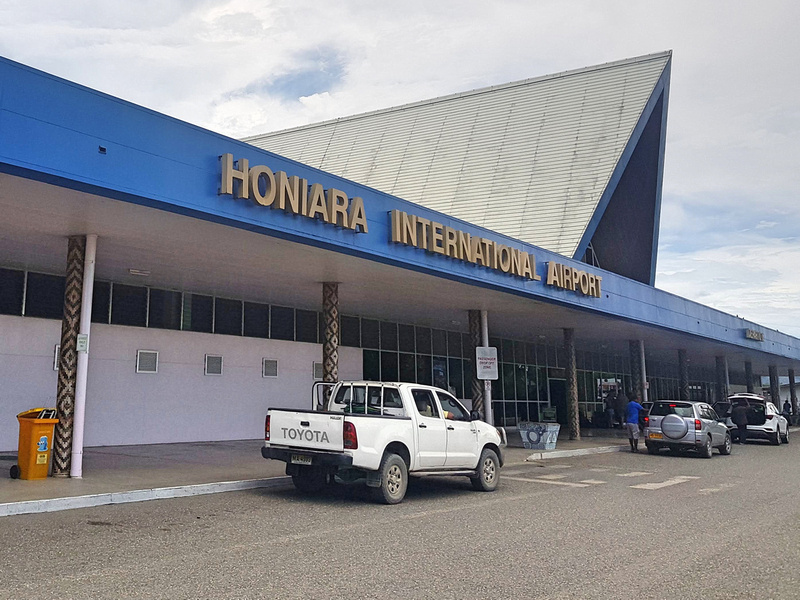 This was the return leg of my flight from Brisbane to Honiara, and I was visiting Solomon Islands as part of a media trip from Australia. 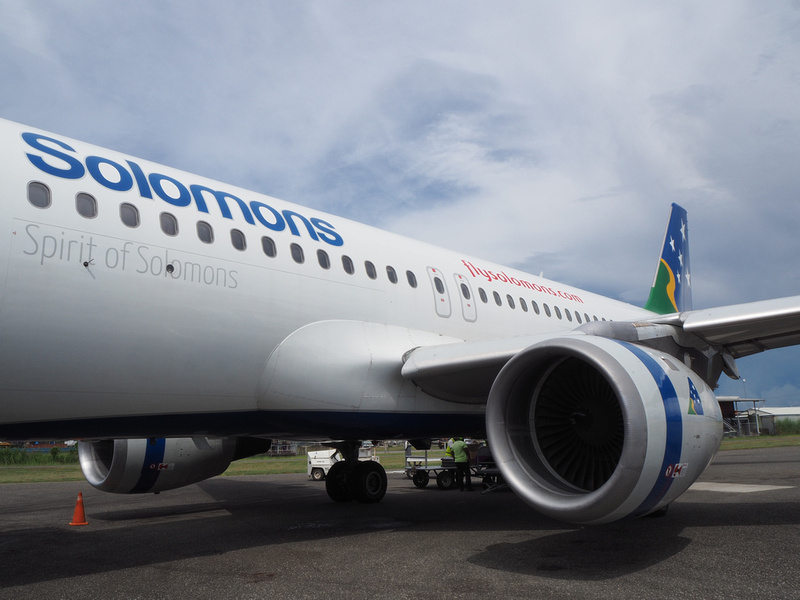 Solomon Airlines operates flights to Brisbane in codeshare with Qantas. From Brisbane you can then connect to other destinations in Australia through the Qantas network. If you are going to be visiting Solomon Islands regularly it would be worth signing up for their frequent flyer program (Belama Club) for flights not codeshared with Qantas. There is no online check-in, but it’s not a busy airport and checking in was a smooth process. It’s a small airport with not much to do in the airside waiting lounge, so have lunch before if you can’t wait for the inflight meal. 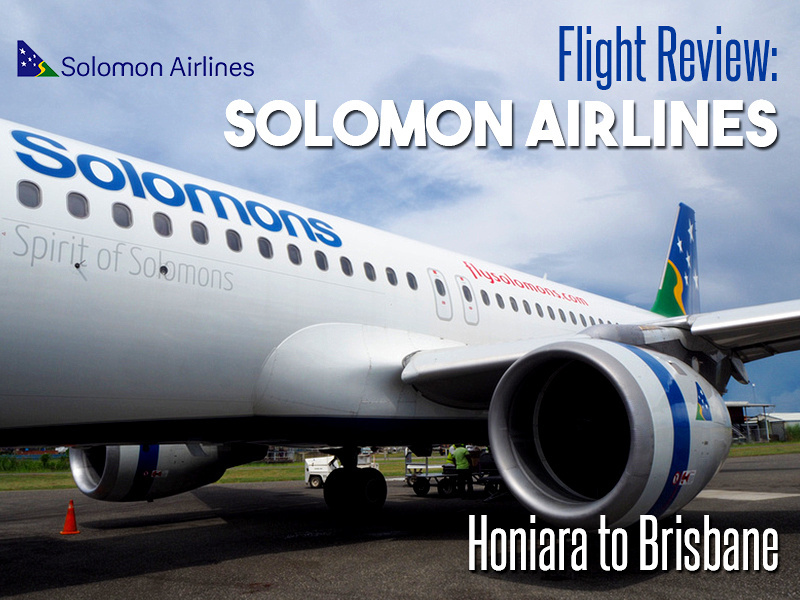 The flight to Brisbane is with the single A320 in the Solomon Airlines fleet. Flight IE 700 departs at 14.45 and arrives in Brisbane at 17.00 (1 hour behind), for a scheduled flight duration of 3H, 15M. 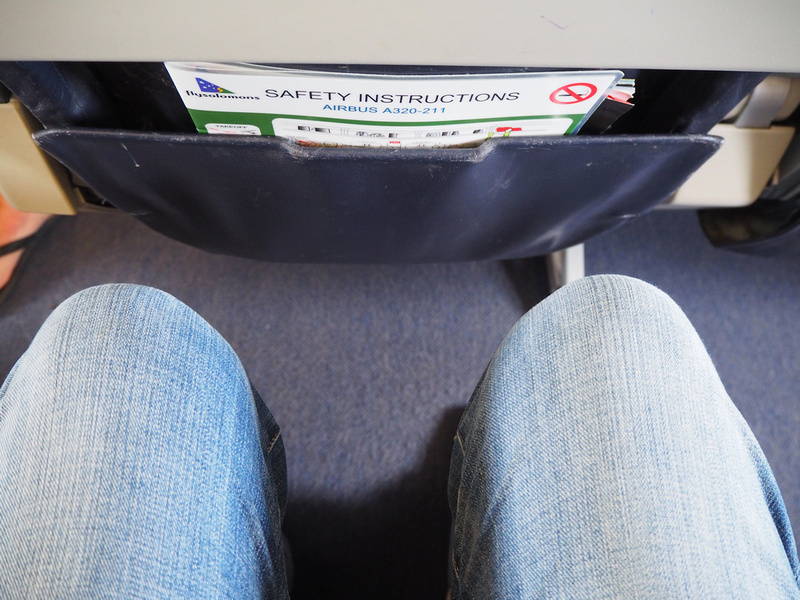 I was in economy for this flight, the economy seats have generous leg room. 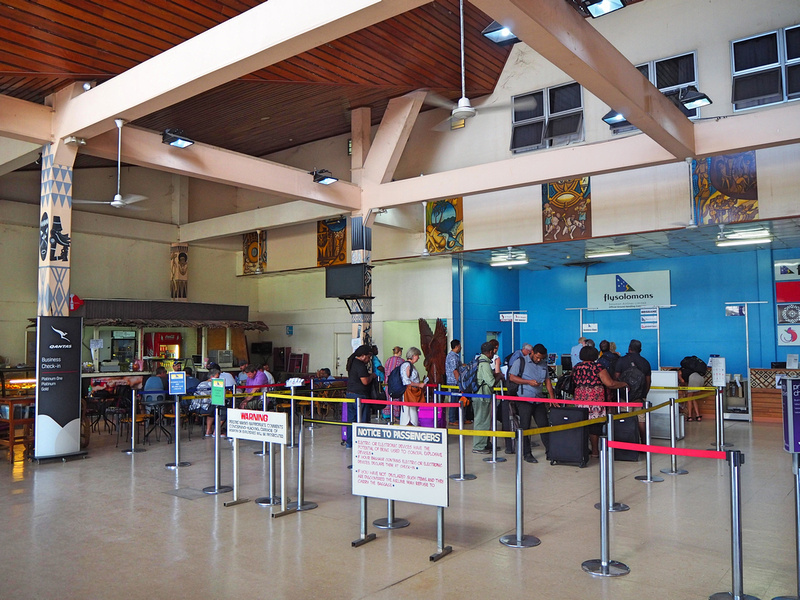 Solomon Airlines also fly to Papua New Guinea, Fiji, Vanuatu, and Kiribati. This was my first time to a Pacific island nation, and now that I have a taste for it I’m looking at map and seeing where else I could go via Honiara. 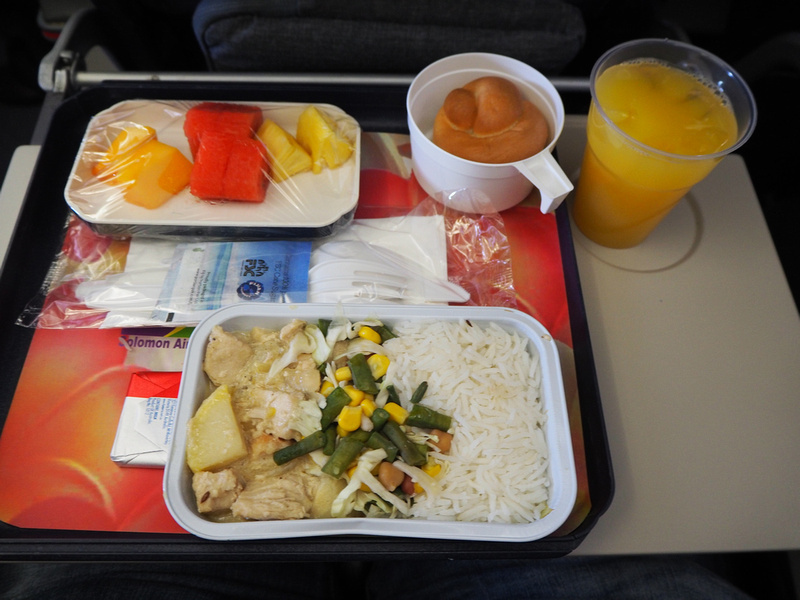 Solomon Airlines is a full-service airline, and a full meal is provided on international flights. For this late lunch I got the chicken and rice, which comes with bread and fruit salad. 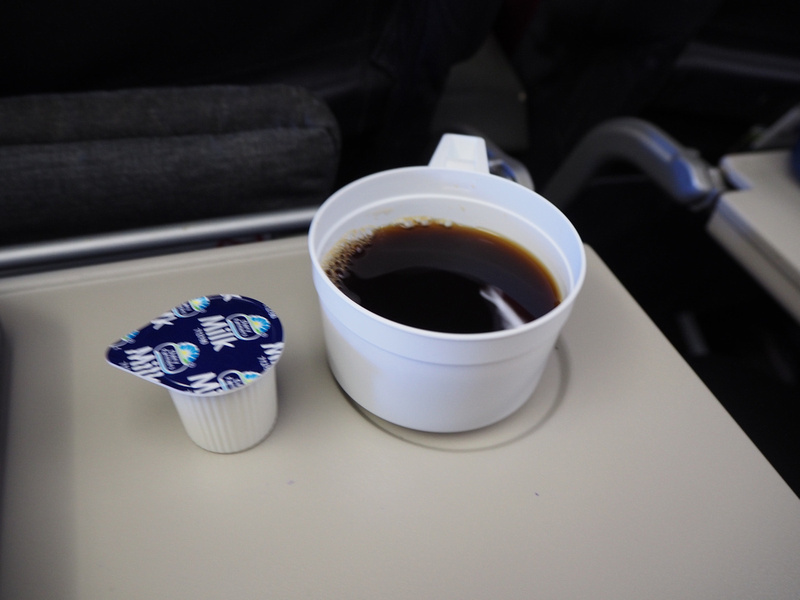 A tea and coffee service is provided after the meal. There is no inflight entertainment, so bring your own devices or book. The flight arrived on time in Brisbane, and thus concluded my trip to the Solomons. 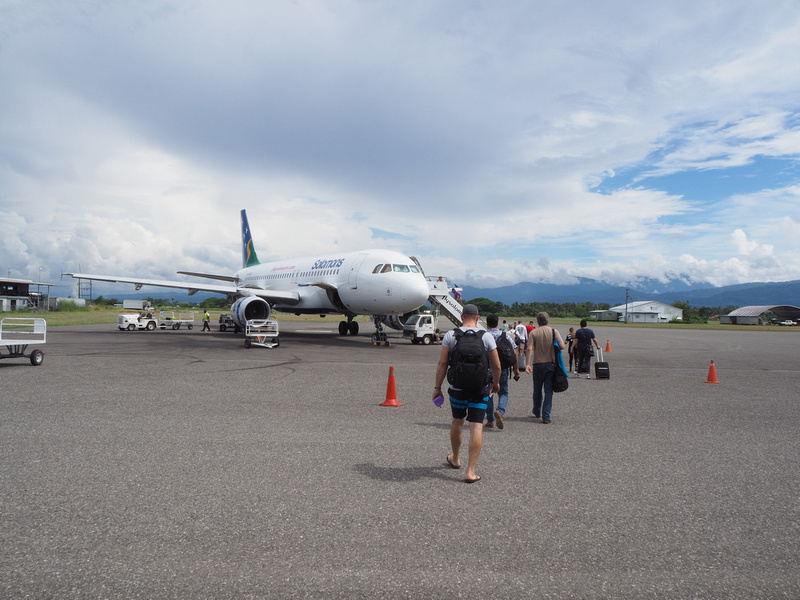 Overall this was a comfortable flight and a good option for flying to Honiara. 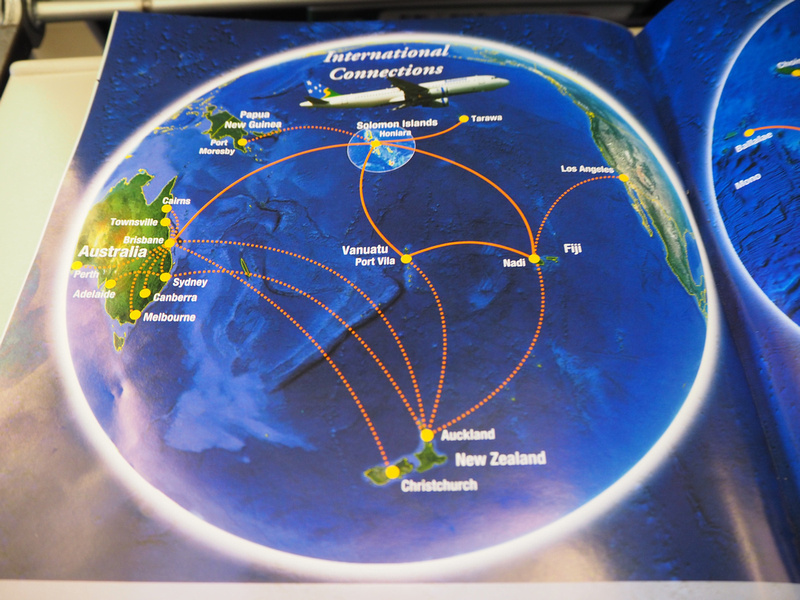 I also did domestic flights with Solomon Airlines, and I would be happy to be back doing more domestic flights, or travelling en route to other South Pacific destinations. To get an idea of what it’s like to travel in Solomon Islands, here is a summary of my week of visiting reefs and war wrecks.